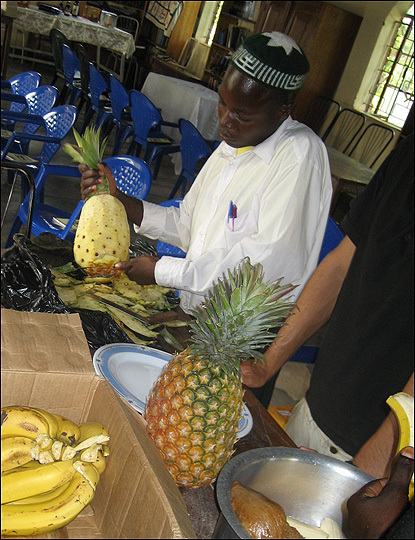 Celebrating Passover with Uganda's Jews Rural eastern Uganda is home to a small but thriving Jewish community called the Abayudaya, which means "the Jews" in the local language. Jocelyn Frank joined them last year for Passover. 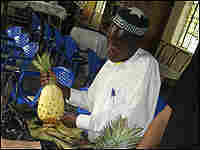 A member of Uganda's Abayudaya community prepares a dish called haroset for the Passover celebration. Rural eastern Uganda is home to a small but thriving Jewish community called the Abayudaya, which means "the Jews" in the local language. Jocelyn Frank joined them last year for Passover.